In March 2013, Invokana was approved by the Food and Drug Administration (FDA) for the treatment of type 2 diabetes. Since then, however, serious complications have been reported, new warnings have been issued, and lawsuits have been filed by people who have been hurt by this medication. 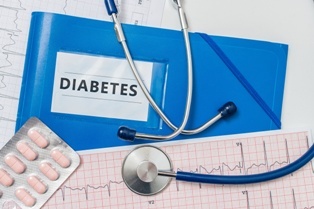 Invokana was the first of a new class of type 2 diabetes medications—known as sodium glucose co-transporter 2 (SGLT2) inhibitors—to receive FDA approval. SGLT2 inhibitors greatly reduce or stop the development of sodium glucose co-transporter 2s in the kidneys. This causes the kidneys to release excess glucose in urine rather than to reabsorb the excess glucose into the blood. The active ingredient in Invokana is canagliflozin. Invokana may also be combined with metformin to form the drugs Invokamet and Invokamet XR. Invokana, Invokamet, and Invokamet XR are all made by Johnson & Johnson. All three medications may help people with type 2 diabetes maintain their blood sugar levels, maintain or lose weight, and control their blood pressure. However, the benefits did not outweigh the risks for some patients who were seriously hurt by Invokana, Invokamet, or Invokamet XR. What Are the Risks of Taking Invokana or Invokamet? Amputations. SGLT2 inhibitors may decrease blood circulation in the legs, feet, and toes. This, in turn, can cause amputations of legs, feet, and toes to be more likely. Bone fractures. These medications may lower bone density and make dangerous bone fractures more likely. A bone fracture can be painful, can cause a dangerous fall, and can result in lasting problems. Diabetic ketoacidosis. Ketoacidosis occurs when the level of ketones in your blood is too high. Prompt treatment is essential. Otherwise, this condition could result in death. Pancreatitis. The FDA has not yet concluded that SGLT2 inhibitors may cause pancreatitis. However, the agency has identified pancreatitis as a potential safety issue and the issue has been discussed in medical journals. Acute pancreatitis occurs when the pancreas becomes inflamed. It is extremely painful and it is a potentially fatal medical condition that typically requires hospitalization. Urinary tract infections. Urinary tract infections can usually be treated with antibiotics. However, if they go untreated then they could lead to serious complications such as kidney damage or sepsis. Other risks, such as kidney problems and cardiovascular complications, have also been reported. December 2014 warning from the United States National Institutes of Health (NIH). At that time, the National Institute of Diabetes and Digestive Kidney Diseases which is a part of NIH warned that Invokana could result in bone fractures. May 2015 warning from the FDA. This warning was about the danger of ketoacidosis. September 2015 safety announcement from the FDA. This time the FDA warned Invokana users that the medication could decrease bone density and result in bone fractures. While this information was already in the adverse reactions section of the drug label, the FDA required that it be put in the warnings and precautions section. December 2015 warning from the FDA. This warning added serious urinary tract infections to the list of Invokana concerns. May 2017 black box warning from the FDA. The FDA concluded, based on two large clinical trials, that Invokana use causes an increased risk for foot and leg amputations. It required that its most significant warning—a black box warning—be added to the drug label to notify people of this risk. However, at the time of this FDA action, the medication had been on the market in the United States for more than four years without the black box warning about amputations. Thousands of people have filed lawsuits against Johnson & Johnson alleging that they were not warned about the risks associated with Invokana before they took the medication. Many of these cases are part of multidistrict litigation (MDL). If you’ve been injured, or if your loved one has died, because of an Invokana complication that you were not reasonably warned about then you may have the right to recover damages. These damages may include compensation for past and future medical costs, lost income, out-of-pocket costs, physical pain, and emotional suffering. You can start protecting your rights today by contacting our New England Invokana lawyers for a free, no-obligation consultation. We would be pleased to review your case with you and to help you protect your rights if you’ve been hurt.